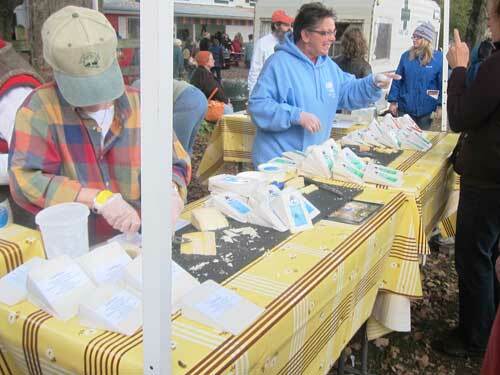 were we at rhinebeck for the sheep & wool festival in mid-october? yes, well er, sort of. it’s blur! we had grand plans of running around the dutchess county fairgrounds for a solid 4-5 hours or so, but alas! terrible traffic got in our way. (if you must know the details, we happened upon an accident while driving up new york thruway which put us back 45 minutes. then, we got bogged down again 3 miles away from the fairground. apparently, torrential rains a few days prior, had turned the parking spaces into swampland. it took us almost 2 hours to travel the last 3 miles!) by the time we got there, we had just one hour to cover a lot of ground before we had to return to the city. 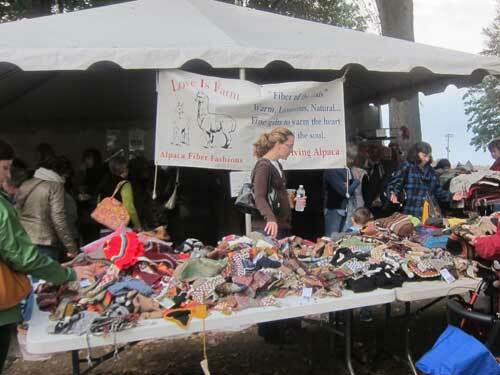 yes, there are a LOT of knitwear, yarn & fiber vendors at rhinebeck, cheesemakers, talented artisans, wine mongers and other specialty food producers. but with one hour, we really only had time to say hello to the animals! 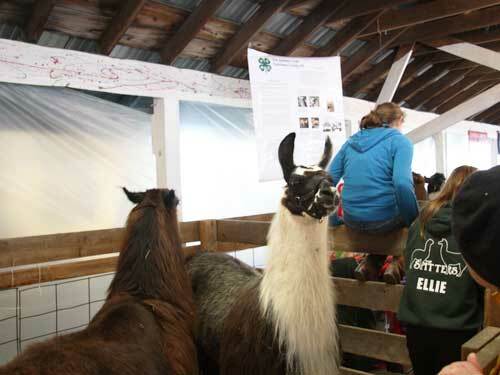 bunnies, sheep, goats, alpacas, llamas, oh my! 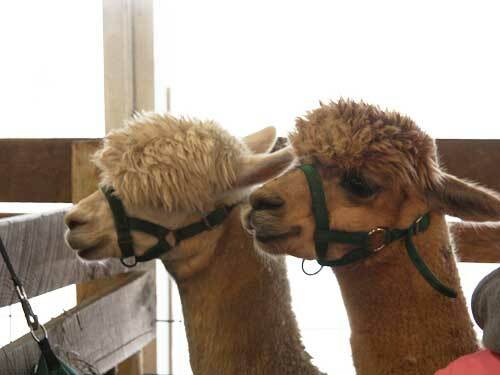 without further ado, here’s our rhinebeck fiber-producing species spectacular! (note: some of these photos are from our 2010 trip; with limited time, we weren’t able to cover as much ground as we had hoped). 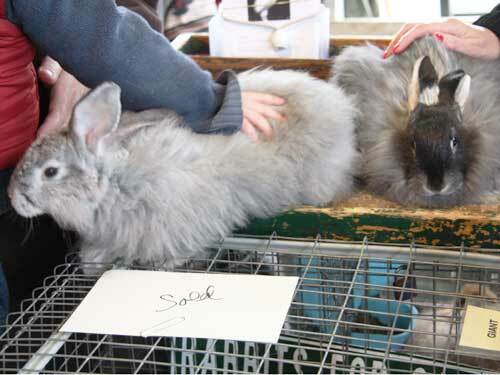 cuddly angora rabbits . 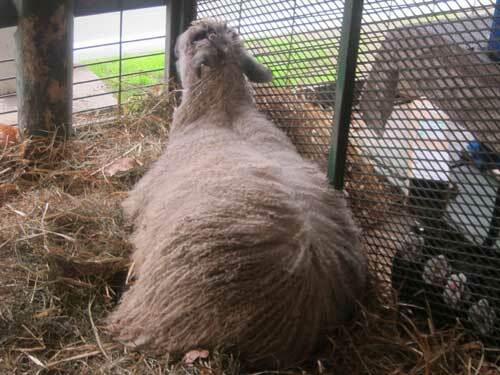 . .
sheep . . . lots of lots of sheep . 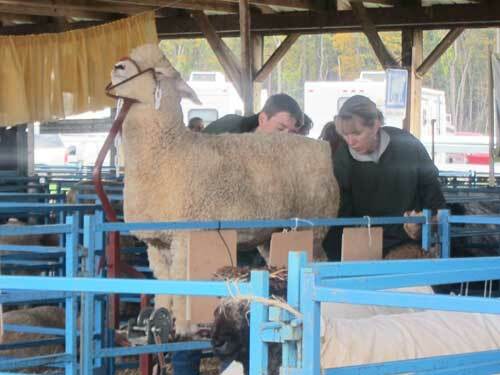 . .
a sheep being examined for the show ring . 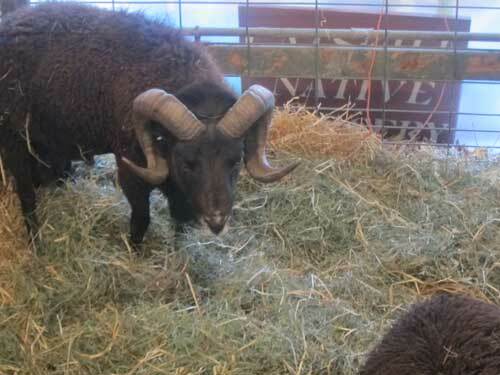 . .
a black sheep with horns . 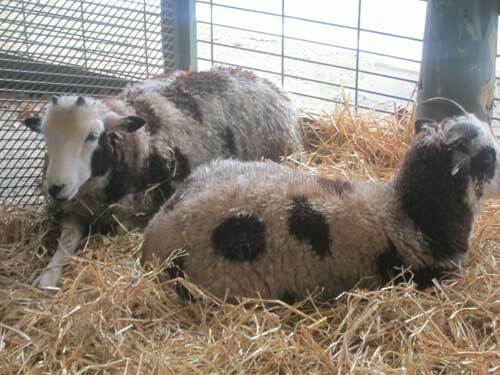 . .
spotted sheep . . . kind of look like mini holstein cows, right? a wensleydale sheep in repose . 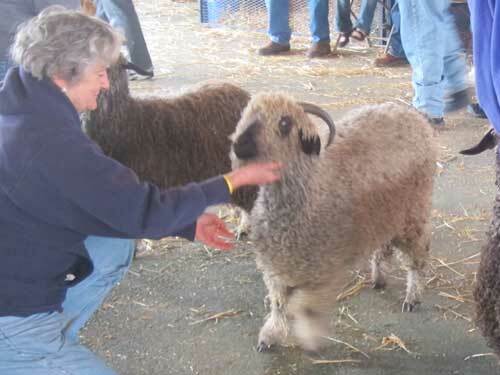 . . one of our favorite rare breeds of sheep . 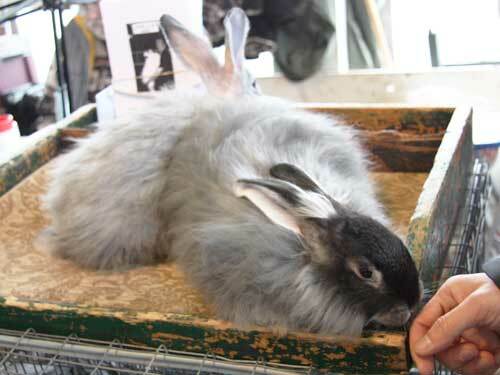 . . check out its long locks of curly hair . 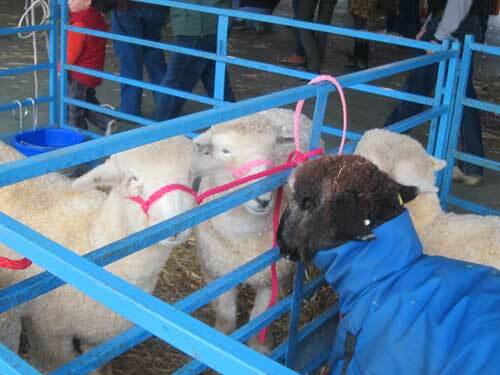 . .
a sheep with a blue coat, saying hello to its neighbors. 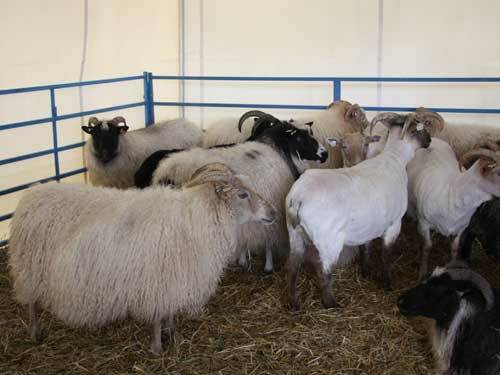 . .
sheeps being judged . 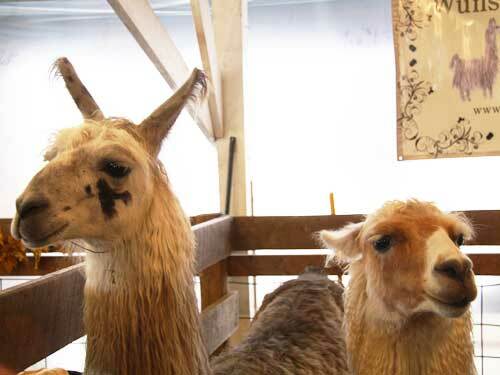 . .
alpacas with big doe eyes! 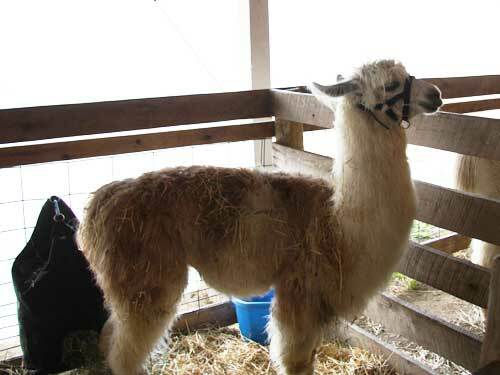 a dainty alpaca, posing perfectly for a side view . . .
Spitting llamas . . .beware! 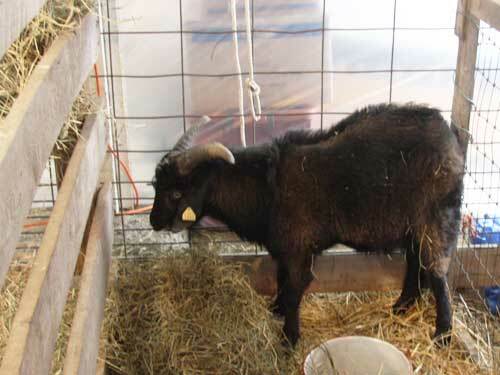 and even a petite, dark brown cashmere goat! 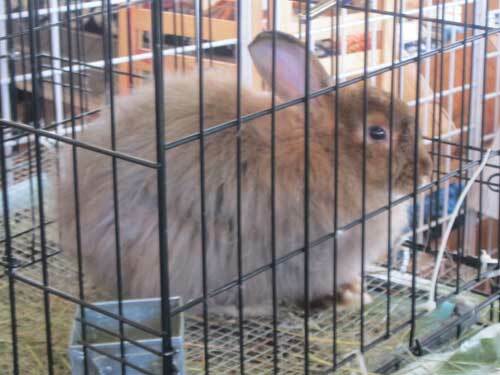 toodles for now…until rhinebeck 2012!